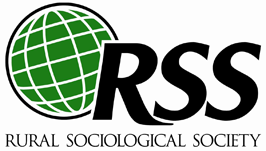 Before 1937, those interested in the discipline met as the Rural Sociology Section of the American Sociological Society, which later became the American Sociological Association. The meeting at which formation of the RSS was approved had not started with that in mind. Rather, a committee of section members appointed previously, presented a report that supported continued association with the parent organization. However, one of the five members submitted a minority report calling for separation. After substantial discussion, a vote to establish a separate organization carried out. That same day, a provisional constitution and by-laws were established by the founding RSS members. This constitution and these by-laws, still guide activities, although they have been amended through the years as membership has increased and issues have changed.